The allegory is obvious: the book as a text should be replace by the book as a window onto a visually realized world. Books operar best (or as best they can) under the logic of immediacy, but computer graphics are more immediate and therefore better. 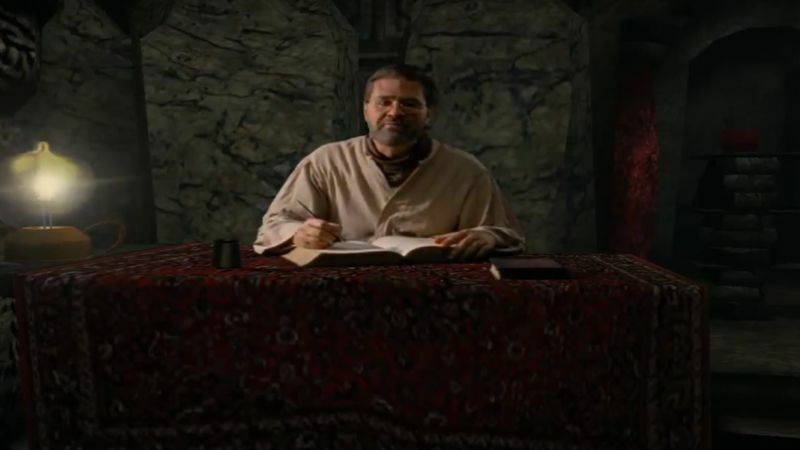 If the player wins helping the father destroy the brothers' books, she transcends the boo as a texture of symbols and is allowed to remain in the world of computer graphics. If she fails, she is trapped forever in the book itself the worst possible fate in the age of graphics. In the course of playing, what the Myst player is actually discovering are the moments and strategies by which the computer game remediates the printed book. In denying the book, Myst is also affirming the book's great rival in the twentieth century: film. Myst's refashioning of film is subtle. The game offers very little digitized video (although the video it offers is strategically important) and instead presents the player with a series of tableaux that change only when she clicks.